This weekend, UBC will square off against the undefeated Trinity West Spartans out in the Fraser Valley. The ’Birds (11-7) are coming off a pair of straight set wins against their Okanagan counterparts last weekend, allowing them to cling to their fourth place position in the Canada West standings. However, there are three teams within two wins of the ’Birds: Regina (10-8), Manitoba (9-9) and Mount Royal (9-9). If UBC fail to take at least one of the games this weekend, they could potentially fall two spots in the division. With only four games left after this weekend, the ’Birds would need help to climb back into a home court advantage if this weekend doesn’t come with some success. UBC needs to break Trinity’s undefeated season this weekend if they want to remain in a home court advantage playoff spot. Although it is a difficult ask, here are three keys for the T-Birds to take into this game if they are to succeed. The only two games that Trinity has been forced into a fifth set came after they dropped the opening set to their opponent. If UBC hopes to make any headway against the league-leaders, they’ll need to be on their game from minute one and get the upper-hand. Teams have exploited the Spartans defense with side-to-side movement, spreading their blocks and not allowing the Spartans to cluster to one outside hitter. For UBC, that means spreading the wealth and involving a more diverse attack. To do so, UBC will need production from their top players to continue at or above their current rate. With UBC outside hitter Kiera Van Ryk sitting atop many of the offensive charts and leading Canada West in kills, aces and points, her play has helped vault the ’Birds to its current ranking. Mikaelyn Sych has been a prolific player for the Spartans this season, leading Canada West in blocks and hitting percentage. UBC needs to be aware of Sych’s play at the net if they hope to have any chance against Trinity’s attack. Beyond this weekend’s game, the Thunderbirds head into a bye week the first weekend of February. Instead of games, they are hosting a fundraiser, “Support the Spandex,” at Bimini on February 2 to raise money for their team’s scholarship fund. Tickets are $10 presale and $15 at the door. Price includes cover, a drink and you can skip the line before 11 p.m.
Their next home games are on February 8 and 9 against the Winnipeg Wesmen. 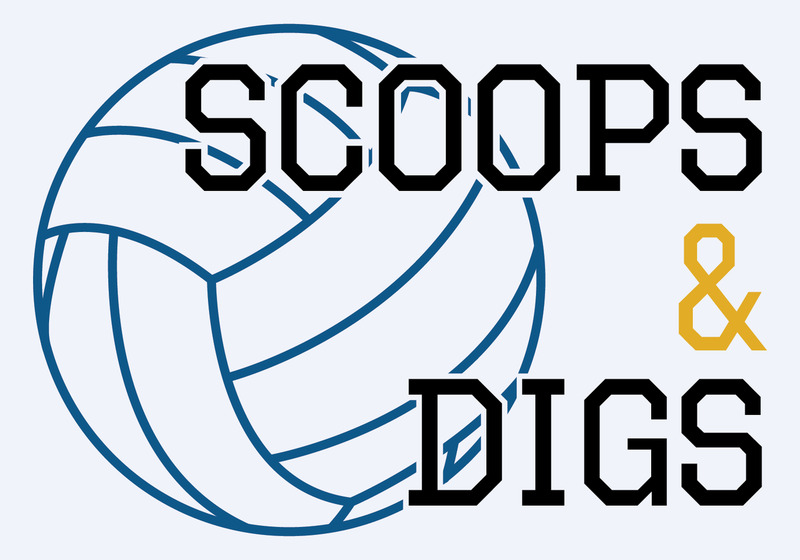 Scoops and Digs is the ongoing volleyball column, co-authored by Photo Editor Elizabeth Wang and sports writer Scott Young. Wang will share insights into the men’s volleyball team, while Young discusses the women’s volleyball program on a rotating basis throughout both teams’ seasons.